Thirty familiar signs fill the pages of this handsome book, and invite the viewer to COME IN! “Right on target.”–Booklist. Excellent pre-reader I found this book was an excellent pre-reading excercise for my preschooler. She just loves to see and recognize the signs as we are driving. This also makes it a great book to bring along for car trips of any length. I am buying a copy for her friend who loves all things car & truck. I know this will make a great gift for boys as well as girls ages 3+. Wonderful for toddlers We got this book for my first child when she was about a year and a half old, and it became an instant favorite. 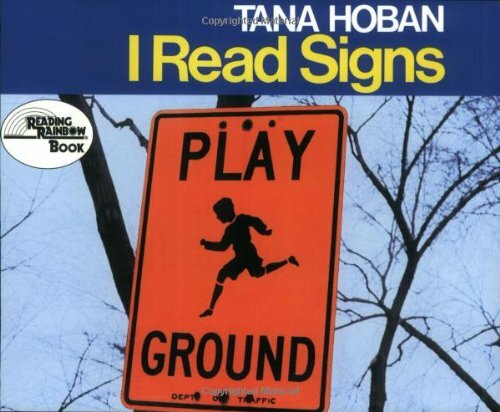 She loved being read the signs in this book over and over.